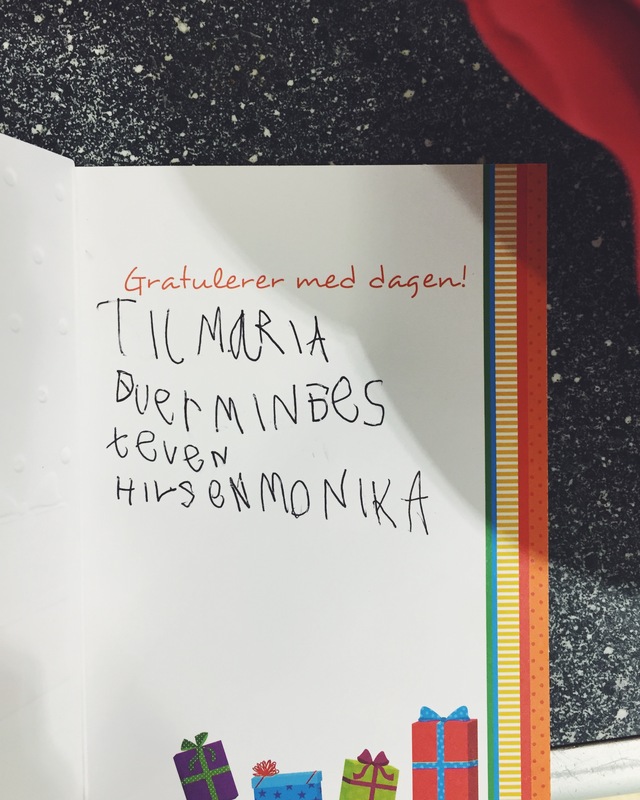 my daughter was invited to a birthday party yesterday, we bought a present and a card. she wrote on that card with her small hands, some mistakes and no spacing. “youaremybestfriend” is written there with her big heart. She is 6 and the girl that had birthday turned 7.